Once is a mistake. Twice is a pattern. And thrice is a habit. The working of Indian Railways reflects all three at the same time. Yes, it is one of the busiest networks in the world and transports more than eight billion passengers a year, so the pressure is undoubtedly immense. But some of the deadliest rail accidents in India, over the last few decades, have been due to mistakes that were more deliberate in nature forming a well-defined pattern. Consider this: For the past ten years the Railway Board – the top decision-making body – has been acting as if only the rail links project in Jammu and Kashmir has suffered because of the mistake of not taking into account the extremely adverse geological conditions that are encountered in the mountainous terrain of the Himalayas. 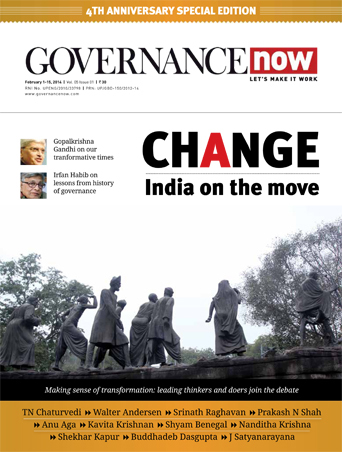 Two expert panels (the Ravindra committee which gave its report in 2008 and the committee headed by the ‘Metro man’ E Sreedharan, appointed on order of Delhi high court), the CAG report tabled in parliament in December 2012 and the public accounts committee (PAC) report tabled in parliament on November 2014: all acted on the assumption that it was only the Kashmir project that was suffering because of the Board’s failure to take into account the adverse geological conditions while deciding alignment. READ: Will Railway Board wake up from slumber? The Board has repeatedly claimed that it had learnt lessons from the mistakes on the Kashmir project and would not tolerate their repetition on the other projects. 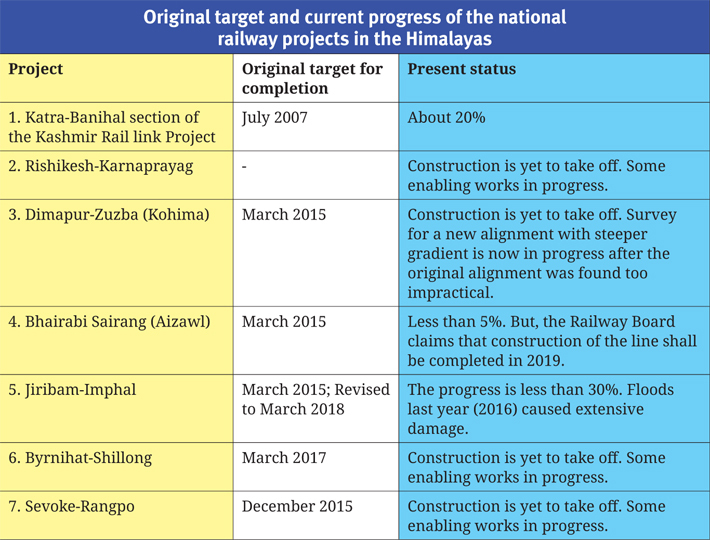 As per their original target dates, these six projects (see table) ought to have been completed by 2015, but construction on five projects is struggling to take off beyond the stage of preparatory activities like building access roads, store depots and offices. On the Kashmir project total progress in the past 15 years is less than 20 percent while on the Jiribam-Imphal project in Manipur progress is about 30 percent. These percentages for the Kashmir and Manipur projects do not account for the fact that the progress achieved is in the portions where the geological conditions are less adverse. For example, railway engineers are still struggling to build the foundations for the much touted, record height mega arch bridge on the Chenab, and most of the progress reported is actually in building the short span and low height viaducts on the approaches to the bridge. Last year, the railways shelved the plan to build the second mega arch bridge on the gorge of the Anji river. In 2009, the board had rejected the recommendation of the Ravindra committee to abandon the plan to build this mega arch bridge. The committee had suggested a smaller bridge at an alternative location. In 2015, though no work was done at the site of the bridge for the past many years, Northern Railway engineers claimed full confidence about feasibility of the bridge. There is practically no progress at any of the other important bridges. In respect of the tunnels, most of the progress is on short tunnels (less than 2 km long) and small bridges (less than 20 m span). Recently, the Northern Railway terminated the contract for the 11 km tunnel near Sangaldan. Contracts for two other long tunnels were awarded more than a year ago, but the work is yet to start. In light of these revelations, there is an urgent need to review past decisions, including the decision on the Sreedharan committee report. Recently in an interview to the India Today magazine, Sreedharan reiterated that the alignment for the Kashmir project should be changed. In its report which was submitted to the Board on February 4, 2015, the Sreedharan committee had unanimously recommended that the existing alignment should be abandoned and the alternative alignment which was proposed by the study in 2007 should be adopted. But the Board promptly rejected the report. The committee had cautioned the Board that the issue of alignment is very important as it could have vital bearing on the future projects that railway will be required to execute. A bench of the Delhi high court had in September 2010 passed strictures against two members of the Board for scuttling proper consideration of the alternative alignment which was proposed way back in 2007. The Railway Board conceded before the PAC that it had failed to carry out necessary geological investigations, but sought to explain this lapse saying that it happened because of pressure from the government to quickly show progress on ground. PAC did not accept this argument and advised the Board to learn lessons and not repeat such failures on other projects in future. The PAC also noted that the Railways had suffered a loss of Rs 3,258.92 crore as of 2010 on the Kashmir project due to the poor planning and impressed upon the Railways to fix responsibility. But the railways ministry has informed parliament that the failure to carry out a proper survey was a systemic failure, so no individual can be held responsible. “Primarily it is because of the influence of the officers who had proclaimed in 2003 that the slope-skirting type of alignment of the Kashmir project was the best possible alignment and who were instrumental in scuttling the review of that alignment in 2007-09 – some of whom continued to be in top positions as late as 2016 – that the fundamentally flawed slope-skirting alignment continues to be followed on these eight projects to this day,” says Alok Verma, whose study of the alignment on the Kashmir project started the debate. Three months after the Board rejected the Sreedharan committee report, the Commissioner of Railway Safety (CRS) of North East Frontier (NF) Railway concluded that a line in Assam which had also been built ignoring the geological risk factors was unsafe and declined to give clearance for running passenger trains. The Board promptly rejected the report by the CRS also and went ahead to permit running of passenger trains with disastrous consequences of two accidents involving a prestigious express train and closure of the line for three months all due to landslides caused by heavy rains. 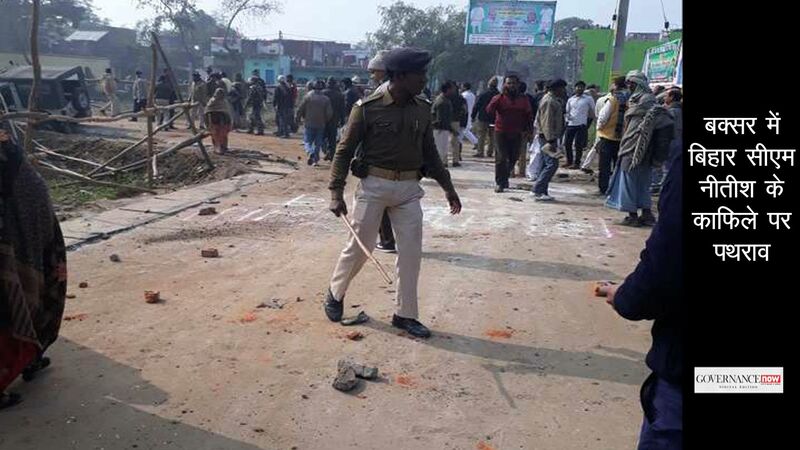 It was by sheer coincidence that the full magnitude of the alignment fiasco was revealed. Alok Verma was posted by the Board on NF Railway as chief bridge engineer (CBE). Within a week of taking up the assignment, he was urged by the CRS to examine the stability of the Lumding-Silchar line which NF Railways was proposing to open for carrying passenger services. It was basically a project for conversion of the old meter gauge line to broad gauge passing through different terrains, and included a 62-km stretch through a geologically fragile mountainous terrain. In his report to CRS, Verma pointed out that the root cause of the instability was that the alignment had been prepared ignoring the geological risk factors, and recommended a detailed examination to ascertain the level of risk. In its report dated June 14, 2015, the CRS declared the line unsafe for passenger train operations and emphatically observed that the railway should appoint a committee of experts, including outsiders, to carry out an in-depth examination of the instability risks on the line and prepare a detailed short- and long-term action plan to address those risks. 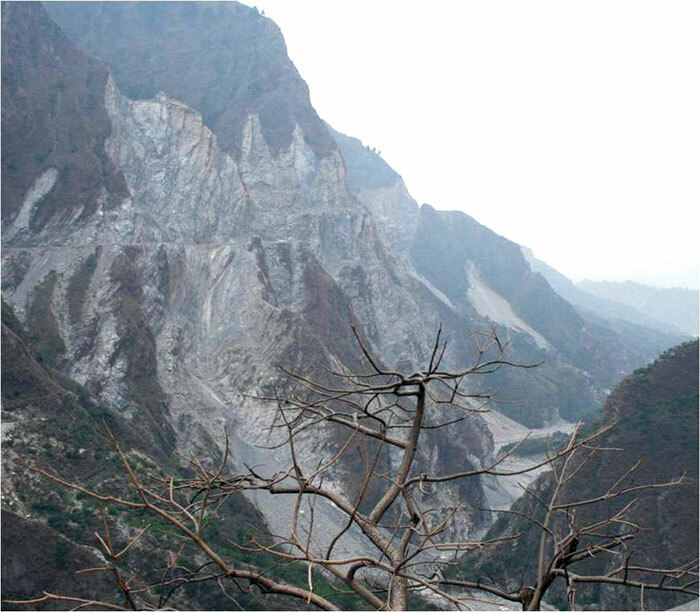 In October 2015, Verma submitted a detailed report to SK Virdi, general manager (GM) of NFR, pointing out that the geological conditions were ignored while preparing alignment for the other projects in the northeast too. He also reported that the geological conditions had not only been overlooked at the stage of preparing the alignment but also at the later stage of carrying out structural design of the structures on the line (tunnels, bridges and high cuttings) which account for 90-95% of the total length of each of these lines. Despite refusal of CRS to give clearance for running passenger trains, the Board decided to open the Lumding-Silchar line in November 2015, taking no cognizance of suggestion of the CRS that a committee of experts be formed. Before the decision to open the line was taken, Verma was removed from his post and sent to training for two months (though he returned to the same post). The officer who held the charge as CBE in Verma’s absence also recorded on file that he agreed with Verma’s observations about the design defects in his report to GM, NFR, which he had submitted before leaving for training. It appears no cognisance was taken of this noting. Finally, when Verma sent another note to GM of NFR about the deteriorating conditions, the officer appointed a committee to look into his report regarding the survey and design ignoring the geology. But this committee consisted of three officers, each one of whom had played a key role in the failure to take into account the geological conditions both at the stage of survey and detailed structural design on the Lumding-Silchar line and the other six national projects. As the ground conditions began to deteriorate after the monsoons, Verma on April 19, 2016 ordered suspension of passenger services on the Lumding-Silchar line stating in his letter that instability poses a serious threat to safety of passengers. The GM, NFR responded by opening the line on the very next day. Within one week there were two derailments due to the damage to the track by landslides which were followed by many more landslides that resulted in the closure of the line for almost three months. The prime minister was in Shillong in May 2016 to preside over the meeting of the North East Development Council. He was also to launch a train service between Delhi and Agartala, but the inauguration was called off due to closure of the Lumding-Silchar section. This incident highlighted the vulnerability of rail transportation to landslides in south Assam and adjoining states of Tripura, Manipur and Mizoram. The rail link to Imphal (Jiribam-Imphal project) and Aizawl (Bhairabi-Sairang project) will take off from the Lumding-Silchar line. Apprehending attempts by NFR to cover up its mistakes, Verma on July 17, 2016 sent a detailed report to the member (engineering) and the chairman of the Board, requesting them to take a holistic view and set up another expert committee which can independently and objectively examine the vital technical issues. Recently the report of the committee which the GM, NFR had appointed in January 2015 has come out in public domain. The report, which was submitted to the GM, NFR in May 2015, acknowledges that geological mapping needs to be done now. Geological mapping is the first step of a long process of detailed examination of the geological conditions. It has also admitted that the slopes are moving and landslides will continue to take place. Still the committee has failed to evaluate the risk to safety. The committee’s failure to evaluate the risk to safety is a serious lapse. Without having the results of geological investigations the committee is assuming that there is either no risk to stability and safety of the line as a result of overlooking the geology, or if there is risk it is such that it can be addressed without changing the alignment. The members of this committee were key participants in the decisions that were taken ignoring the geology on these projects and in opening of the Lumding-Silchar line. In fact, the GM of NFR, who has accepted the report, was also directly involved in opening of the Lumding-Silchar line without addressing the concerns of the CRS and the CBE. In November 2015, as GM (construction) of NFR, he had signed the safety certificate for opening the line. In Para 2.2, the GM has said that competent consultants were appointed during design and construction. The fact is that way back in 2005 a consultant had recommended detailed geological mapping and investigations but this was overlooked. As detailed in the report by CRS, thereafter many consultants, including the expert from the IITs and IISc emphasised the immediate necessity to carry out geological investigations, but as conceded by the GM, NFR himself in his above note, even geological mapping which is the first step in geological investigations has not yet been carried out. There seems to be underway a systematic suppression of voices that are raised to question the wisdom of the continued neglect of the geological risk factors. Divisional engineer Avadhesh Kumar who refused to take over maintenance of the Lumding-Silchar line because of the continuing failure to carry out geological study was promptly transferred out. 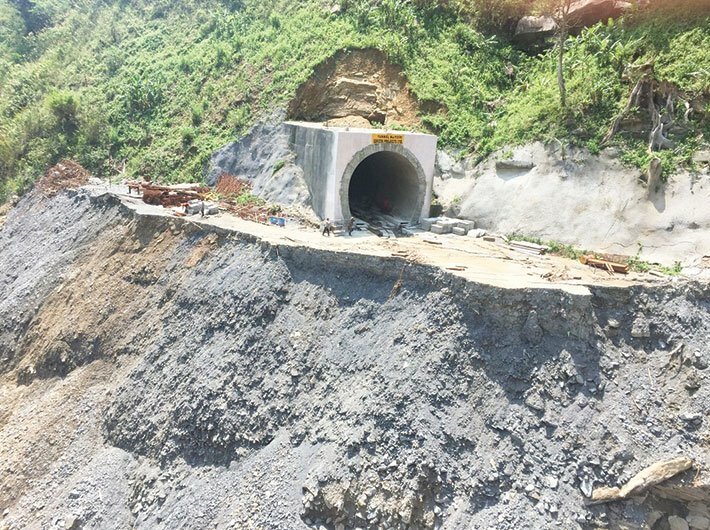 Chief engineer Anil Kumar who declared the alignment for the Nagaland project to be infeasible and began a fresh survey for alignment based on the alternative methodology has also been transferred in August – even before the survey was completed. The chief track engineer who said that no slope stabilisation work should be carried on the Lumding-Silchar line, where about Rs 200 crore have been spent on such works since the inspection by CRS, was recently sent away on a long training course. Verma has suffered endless victimisation over the past ten years for his views on alignment. He was subjected to two punitive transfers (to South East Central Railway, which has its headquarters in Chhattisgarh, in 2009, and to NF Railway in 2014), and as his retirement approached he was denied promotion. In all he had to remain in a limbo without a post for a total of about 32 months. In 2010 he was granted relief by the courts with the supreme court dismissing SLP which the Board filed against order of the Delhi high court for full relief to Verma and strictures against two Board members for attempting to silence him to scuttle the review of alignment in 2008-09. In fact, while passing the stricture the court had also said that Board ought to review its decision regarding the alignment in view of the scuttling of proper consideration of the alignment methodology. Finally, as noted above, four years later the high court passed an order directing the Board to constitute the second expert committee with Sreedharan as a part of it. Despite repeated attempts, we could not get Railways’ public relations officer Anil Saxena’s comments. Considering the dismal state of execution of these seven projects of national importance, and failure of the Board to deal with in a fair and proper manner the concerns which have been expressed by the Sreedharan committee, the CRS and the PAC about ignoring the undoubtedly extremely adverse geological risks that these projects are exposed to, there is immediate need for a thorough examination of the methodology of the slope-skirting type of alignment that the Board has adopted on all these projects, and its persistent refusal to consider the alternative alignment methodology which the Sreedharan committee has strongly recommended.